Shopping for Superman Action Figures? Your very own retro Super Friends DC Comics action figures! Highly detailed figures measure 8-inches tall. Each figure has fist fighting action! Your very own retro Super Friends DC Comics action figures based on the classic cartoon! 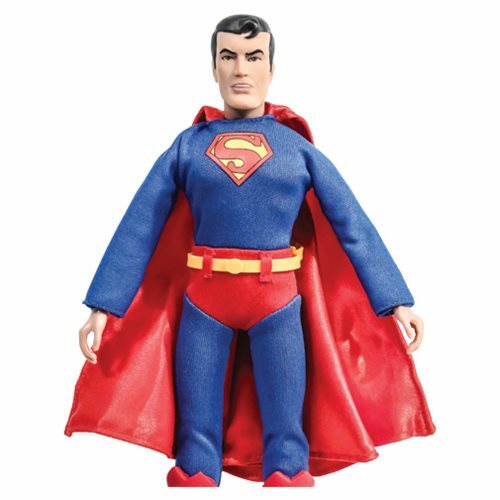 This Super Friends 8-Inch Series 1 Retro Superman 8-Inch Action Figure sports classic cartoon styling. Action figure measures 8-inches tall. Ages 8 and up.